A domain name is very critical to your online identity. Though extremely valuable, registering one is actually quite affordable these days. Be that as it may, one must remain aware of all the tricks of the trade in order to ensure a quality purchase. There are many registrars on the market that are in the business of selling cheap domain names. In fact, if you search long enough, you can easily find offerings for as low as $1.99 or $2.99. Prices like these are hard to pass up, but there has to be a catch, right? You got it. It is important for you to realize that while they serve the same general purpose, not all domain registrations are created equal. What we mean by this is that different registrars will include or omit different services with your registration. When you purchase a cheap domain name, more than likely, you will be missing out on many of the above features. This might not be a tremendous deal depending on your specific needs, but if you really want to make the most out of your domain name and web presence, it is definitely better to have them. 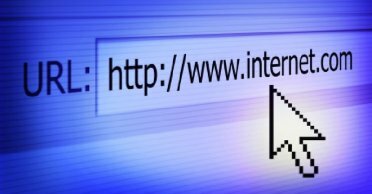 To help ensure that you get the best deal possible, we have listed some of the most common tricks registrars employ when offering cheap domain names. You may be surprised at how many of the big name companies are involved in the trickery. Bait and Switch – GoDaddy is well known for its $2.99 special on domain names. However, most of the time, this deal only applies to .info TLDs, which could be a rather undesirable extension for someone trying to do business online. Chances are, you are after a .com domain which will cost you about $9.99 per year. Limited Time Discount – Yahoo is another well known registrar with tricks up its sleeves. The company recently had a sale for .com domain names at the amazingly low price of $1.99. The major catch is that the price was only good for the first year and only available to new customers. Once that year exceeds, the cost goes back up to the regular price of $9.95 per year. Must-buy Add-ons – When purchasing service from some registrars, that price of $1.99 is only good if you also purchase additional products the company offers. In most cases, this is a web hosting package. If you truly need a web hosting service, then look for a provider that will sell you a good plan and provide the domain name absolutely free. Although the tricks mentioned in this article aren’t necessarily scams, they are very confusing and could spell trouble for the newcomer. Therefore, you want to conduct solid research because unlike most things you buy, there is no refund on a domain name registration.